Get a UK number absolutely free and it's for all country. fwcall is giving a free Virtual UK number for non-UK residence. You will not get full access to your number like you can's receive messages from it. Only Thing you can do is forward all your calls from your UK number to your real phone number. 3. 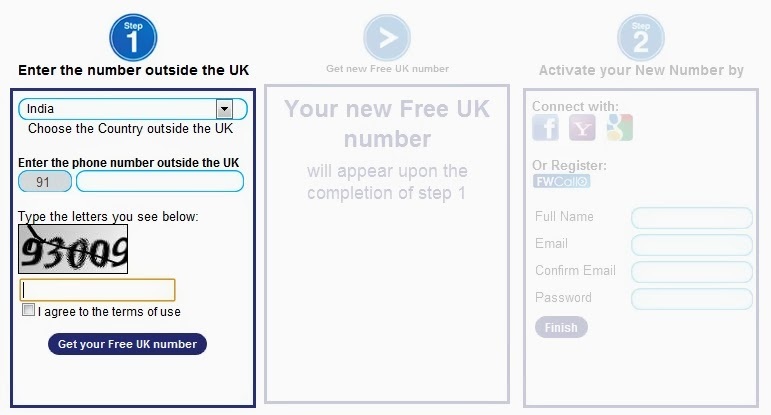 Your new Free UK number will be appear just remember that. 4. Activate your New Number by simply register there. NOTE : its only for calling and if you don't receive any call within 30 days they will terminate your account.